I'm not sure if it is because I work from home or that I am such a nerd but I am obsessed with office spaces and if it contains a Mac desktop computer, inspiration board or Parsons desk let the swooning begin. 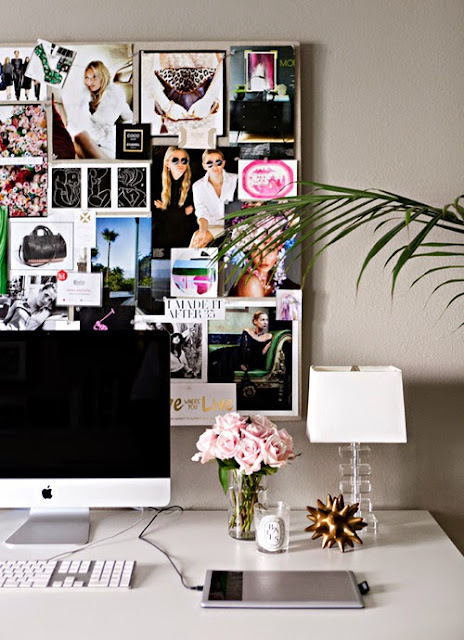 I've been seeing this first image floating around the internet for a while and even pinned it to my Office Envy board on pinterest before knowing who the office belonged to and then discovered that it is the home office of Erika Brechtel. 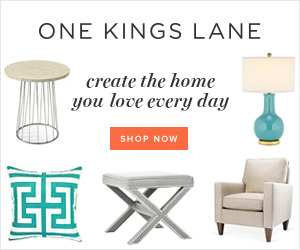 Erika is the creator of Small Shop Studio and a published and award winning graphic designer. She has been featured in print and online publications such as Luxe Mag and Glitter Guide and is a contributor to La Dolce Vita which is where I originally discovered the wonder of Small Shop Studio. Apart from her accomplishments and accolades in the design world Erika is an inspiration as an individual. She manages to balance her career and being a mother seamlessly and if my small shop stalking for the past week is accurate she also allows time for afternoon jogs, coffee table styling, trips to the beach and cooking dinner. 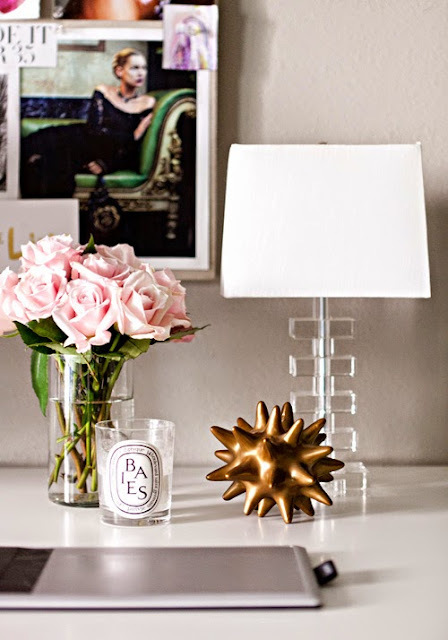 I love everything about her home office seen below though I have to admit I was originally drawn in by the malachite fabric sample on the inspiration board and by the time I noticed the diptyque candle, fresh flowers, lucite lamp and "love where you live" quote it was all over. Stay tuned on the blog next week Wednesday for tips on how to successfully work from home and to see what rules I have a really hard time abiding to. 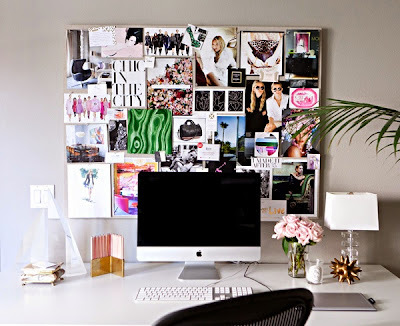 For more Office inspiration, check out my Office Envy board here.